Are you tired of completing the daily domestic chores and in need of a break from it all? 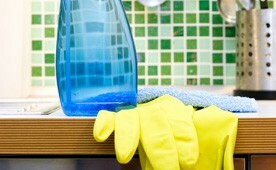 We provide homes and business in Brentry & Henbury with cost-effective regular cleaning or one-off cleans. Our cleaning specialists will effectively remove dirt and germs from your home or workspace, and transform it into a clean and hygienic place. We offer superior service standards that are affordable and offer great value for money. You can rest confident in the knowledge that your domestic or commercial premise will greatly benefit from a professionally executed clean. We offer extensive service guarantees to homes and businesses across Bristol, for every small or large cleaning service that you may need. Call our helpful local team today for a free quote on 0117 345 9015. You can sit back and relax while we clean your home because for your peace of mind, all of our cleaners are fully insured.